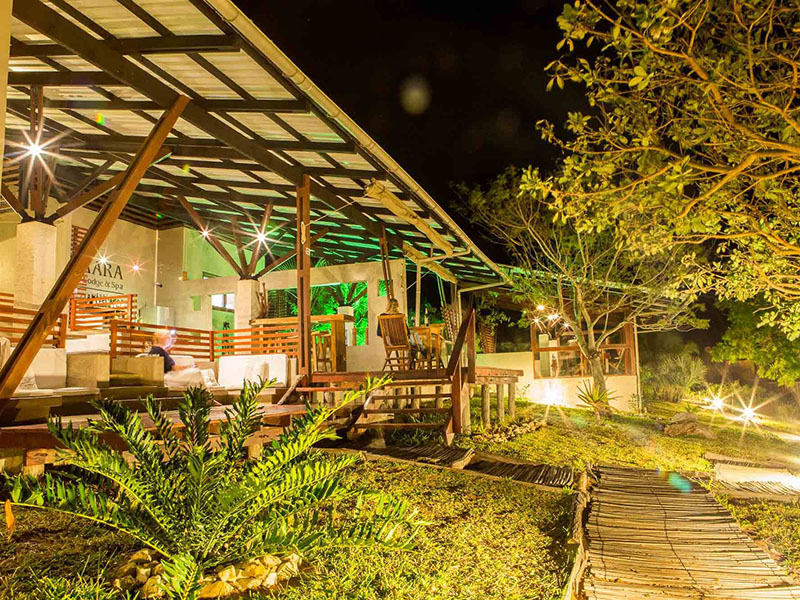 Welcome to an eco-lodge with a heart – Naara Eco Lodge cares about the community and ensures their needs are met hand in hand with tourism and wilderness adventure. 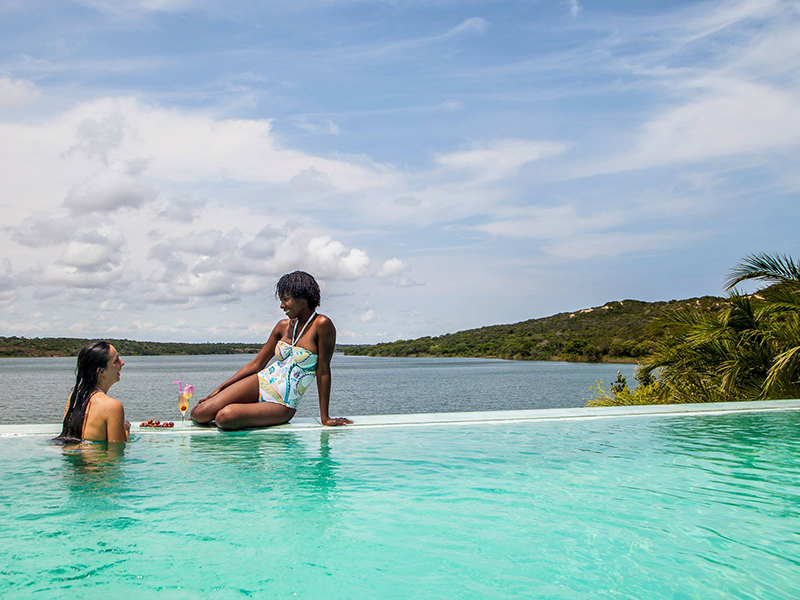 Stay at this luxury spa in elegant accommodation, strategically constructed on the banks of Lake Nhambavale. You are surrounded by pristine dune forests, ocean views and endless beaches for your holidays. 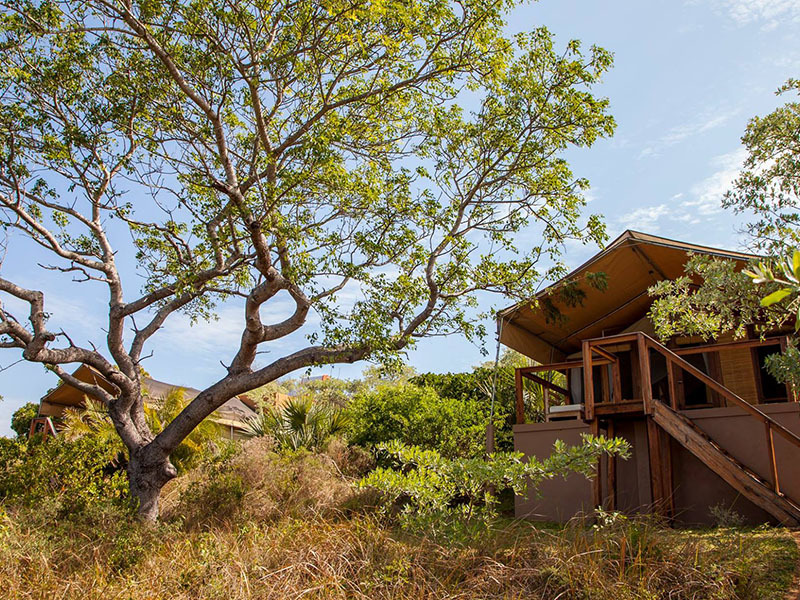 Check into one of only 10 deluxe safari tents and become part of the efforts to lessen your carbon footprint. 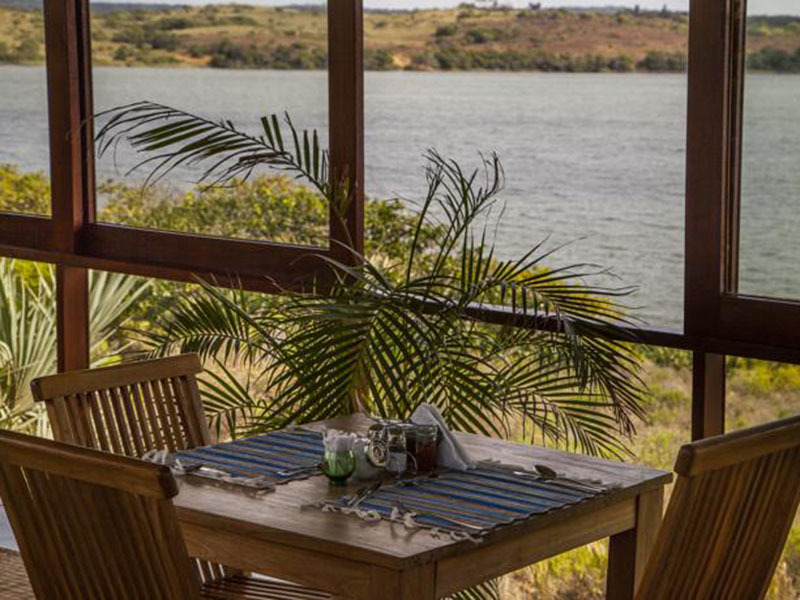 Naara Lodge gets most of its energy from the sun and supports recycling and responsible tourism. 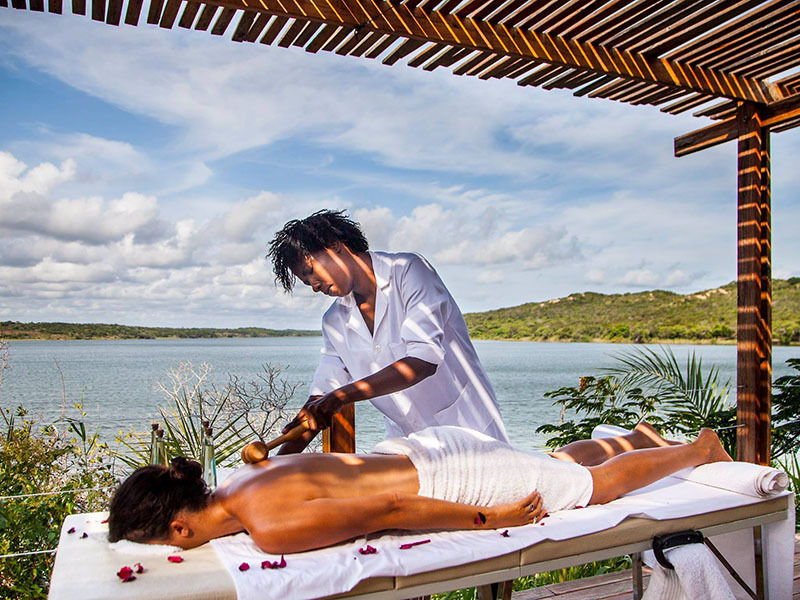 You become part of this resorts drive the minute you book into the eco lodge and experience such natural bliss. In return for luxury high-class services, you support the local community and the surrounding environment for generations to come. 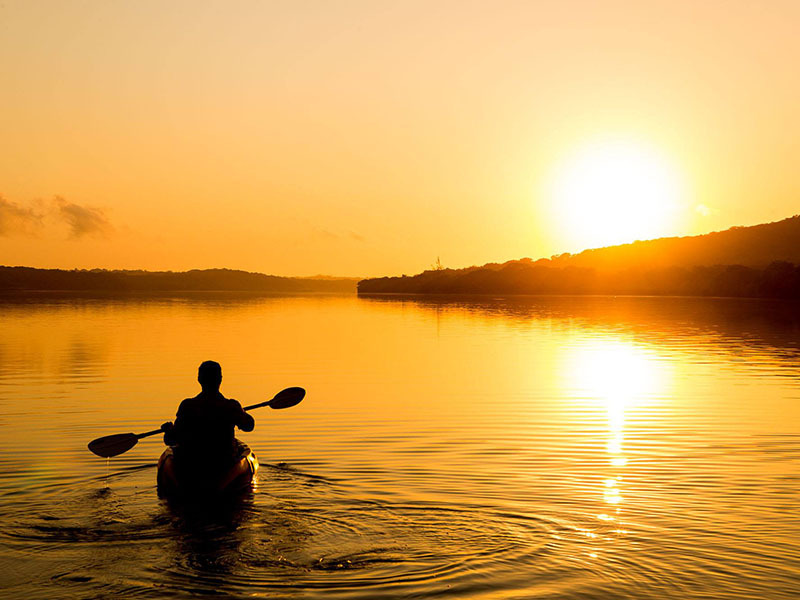 Make the most of your comfy suite, the pampering spa, fusion foods, kite surfing, canoeing, deep sea fishing and diving and hiking into the wilderness. 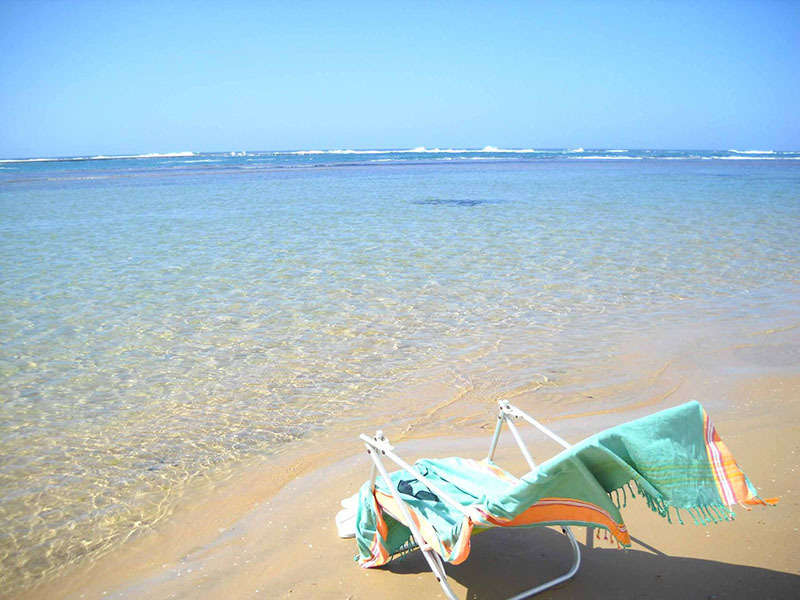 Spend as much time as possible on the unspoilt beach of Chidenguele, a mere 2km away. 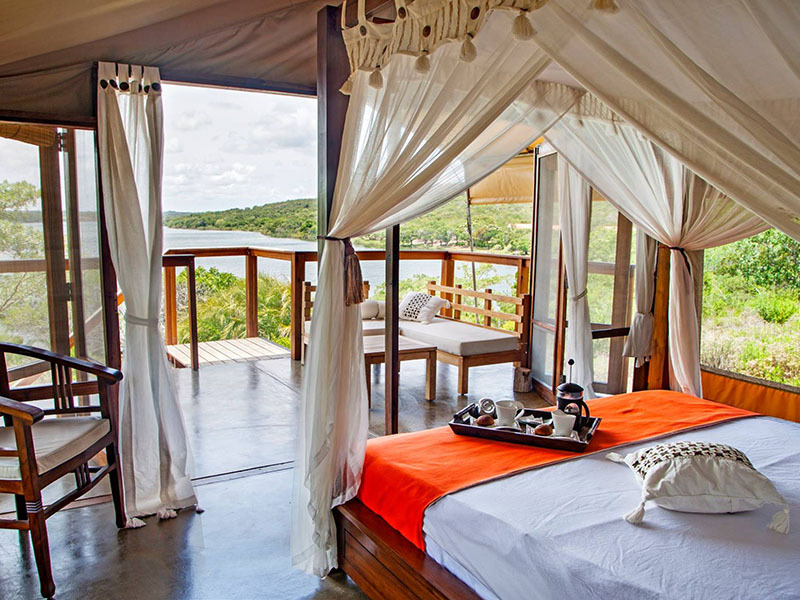 Choose one of 10 exclusive safari tents at Naara Eco-Lodge & Spa. 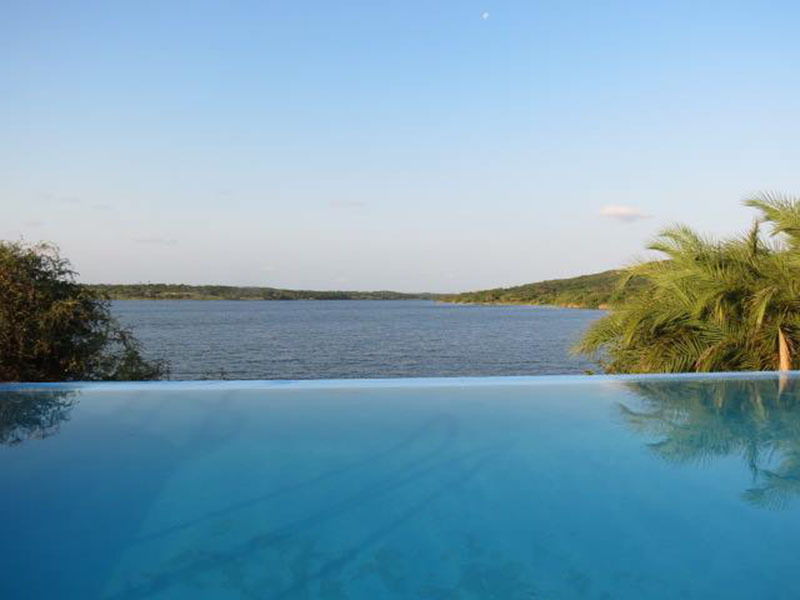 Each one has been built on permanent structures with large front doors inviting the panoramic lake views inside. 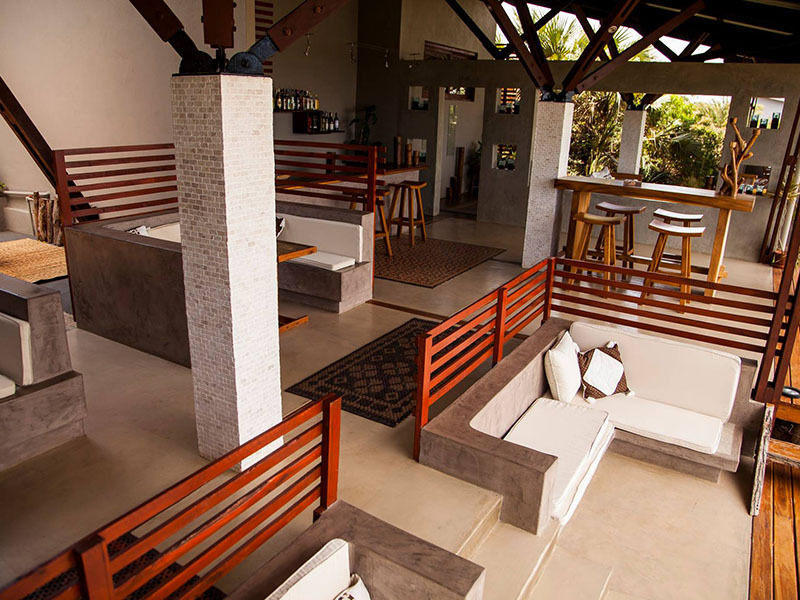 Enjoy large bedrooms, private covered verandas with couches, your own sheltered garden and outdoor shower as a treat. Feast your eyes on superb quality wooden Balinese furniture. 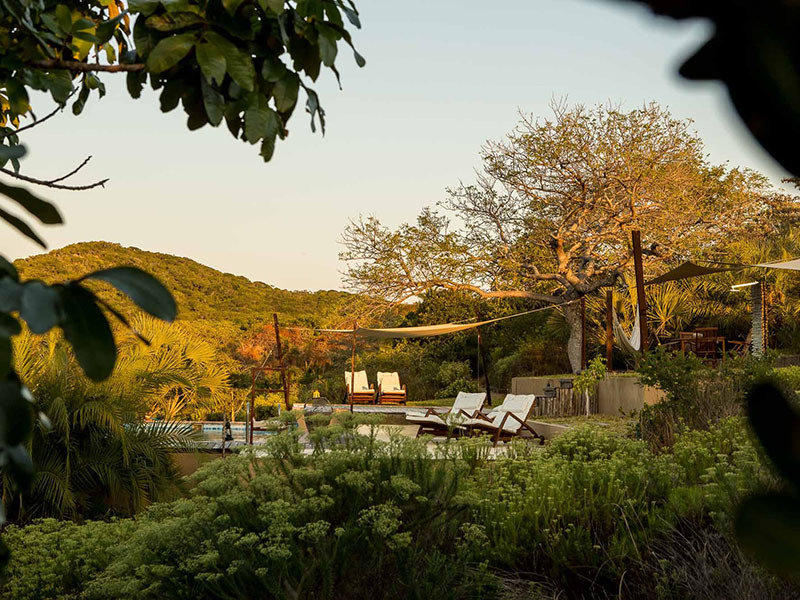 Discover Naara Eco-Lodge & Spa about 275 km north of Maputo. 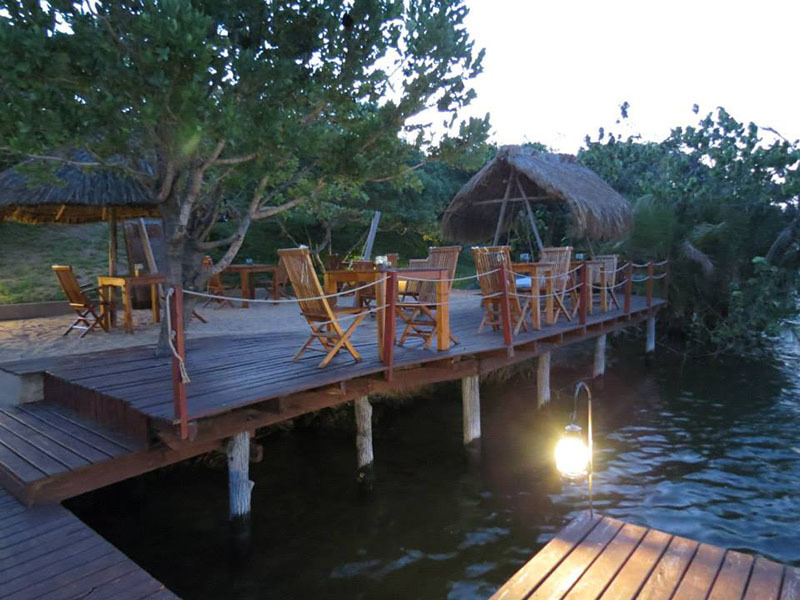 A great holiday transition spot when travelling from Maputo to Inhambane or vice versa. A 4×4 is essential for the last 15 km but parking and transfers can be arranged for normal sedan vehicles.